While the focus usually centers on motor vehicle deaths, the rate of pedestrian-related traffic deaths is much higher than you might think. It deserves noting that the number of pedestrian-related traffic deaths rose across the nation by 11 percent in 2017 to six-thousand fatalities, representing the deadliest year for walkers in the previous two decades. Slightly good news: pedestrian deaths fell by 11 percent in California last year, finally reversing an increasing trend in the Golden State since 2010, according to a report in the Los Angeles Daily News. Have you recently been a victim of a hit and run or other pedestrian accident? Securing a reputable and experienced Los Angeles pedestrian accident lawyer is of paramount importance in order to get compensation for your injuries. Here are some helpful tips on finding the best attorney for your needs. Focused experience is critical in deciding which attorney to go with. There are countless personal injury lawyers in the LA area. Not all will give you the same level of dedication and service. Look for a lawyer who has detailed experience in your exact type of case because they can bring real-world knowledge and perspective to your specific situation. Make sure the lawyer you choose has handled cases very similar to yours, which bolsters confidence in your case. You’ll also want to find someone who operates within your area so they have a firm grasp of the laws in your region. Don’t be shy about asking around for recommendations. While no lawyer can please every single client and it’s unreasonable to expect flawless reviews across the board, do not underestimate the power of a personal referral. Trust the recommendations of close friends, family members and coworkers, whose opinions are worth their weight in gold. Once you get some honest and positive opinions on a Los Angeles pedestrian accident attorney, you can move forward with confidence. It also doesn’t hurt to check out testimonials. One of the biggest hurdles to picking up the phone for help is the cost involved. But once the issue of money is no longer a factor, you can get the advice you need without worry. Most attorneys offer an initial consultation free of charge, so take advantage of them. This will give you the insight you need into next steps and it will provide your potential attorney with valuable information about your case moving forward. No lawyer worth his salt will guarantee a potential client a set settlement amount or outcome. It simply can’t be known at this early juncture what you can get in compensation – if anything. Every case is different, with different variables, parameters, injuries and more. Sometimes the most seemingly iron-clad cases don’t pan out like you want them to. The outcome will depend on the experience and skill of your lawyer, but there are other factors thrown into the mix, such as the judge in the case (if it goes to trial), the other party’s insurance company, the extent of your injuries, other victims involved, etc. Yes, the track record of your Los Angeles pedestrian accident attorney is certainly important. However, a good lawyer won’t make false promises about how much money you can hope to make out of your case. By contrast, a good lawyer will be completely honest and forthcoming with you so there are no surprises or disappointments. About 96 percent of personal injury cases never even see the inside of a courtroom – and for good reason. Most insurance companies are eager to settle quickly so they can pay out a small settlement and move on. An experienced lawyer knows this and will negotiate to get you the amount you deserve – not the amount the insurance adjusters are willing to throw at you. This often takes several rounds of back and forth before an agreement is reached. Very rarely do pedestrian accidents make it to court. Those cases can be very expensive and time consuming. A good lawyer won’t want to waste your time and money; most look at their clients as real people and not dollar amounts. For a free initial consultation on your pedestrian accident and related injuries, contact us at 800-323-POWER. 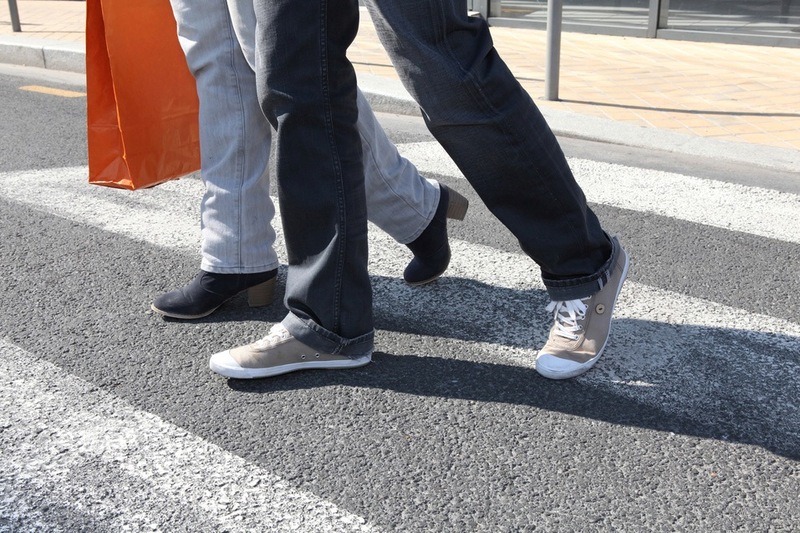 Our experienced Los Angeles pedestrian accident attorneys can give you personalized attention and aggressive representation surrounding pedestrian accidents anywhere in Southern California.